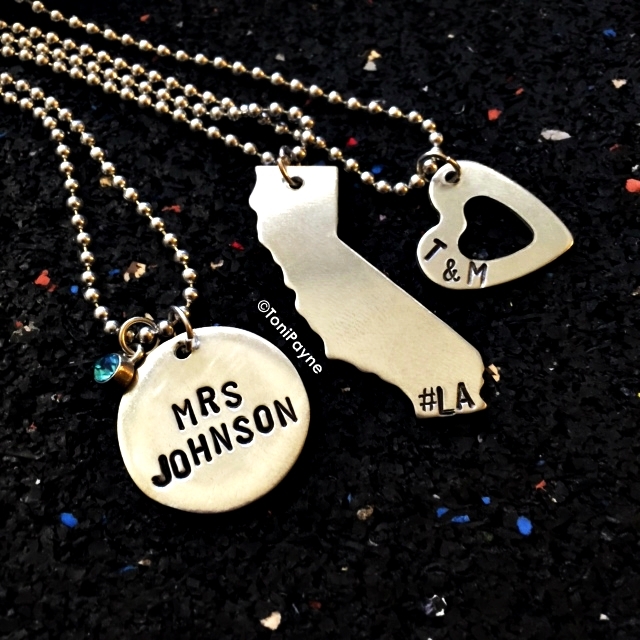 The Personalized Hand Stamped California Map Outline Jewelry is a great gift for California Native. You have to option of getting any custom message on your pendant. You can get initials or the abbreviation of your city. This necklace is great for parents, grand parents, best friends, siblings and anyone who wants to carry around a meaningful message about their state on their necklace. You can customize dates of births, names, initials, nicknames and more. Please write name/ message you want Personalized in this box.